Fun and challenging designs, unique landscapes, a world of wild life and nature, art and architectural masterpieces, antiquities and travel souvenirs are all included in our initial V-Collections! Using both the “pillow” and flat V-Cube’s surface as a canvas, we create border-less, fresh and exciting cubes that fascinate a world of fans! “V-Collections” includes 75 different designs and more than 100 products in seven categories. All designs revolve around our innovative approach to printing directly on the cube’s surface. 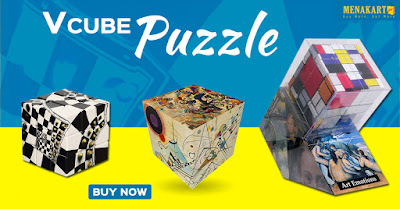 These new V-Cubes are ideal for kids, students, parents, professionals, fans of mind games, tourists, museum and nature lovers and everyone attracted to the creative designs for display. V-CUBE is an innovative range of rotational puzzle games designed for fun and endless choices to use your mind, skills – and imagination! The products are manufactured under the unified V-CUBE technology, invented and patented worldwide by Greek Engineer Panagiotis VERDES. This breakthrough technology provides for an unlimited number of layers, safe and smooth rotation, more durable and user-friendly cubes, new shapes, like the ‘pillow’ design and a pioneering approach to printing for borderless and fully personalized cubes. Perfect for kids and parents, students and teachers, professionals, tourists, museum and nature lovers, companies and everyone who finds the cube interesting as an object. Ideal as gifts, souvenirs, giveaways.